Stream anime episodes online for free, Watch One piece Episode 73 English version online and free episodes. Anime Episode guide One piece Episode 73 English dubbed Broggy’s Bitter Tears of Victory! The Conclusion of Elbaf! 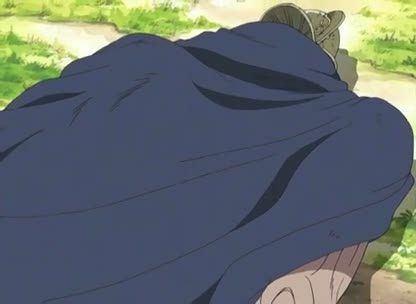 Before he leaves to face his rival and friend for a last time, Dorry traps Luffy under a huge rock. While the giants fight, Nami and Usopp try to cross the jungle to meet up with Luffy and Vivi at Dorry’s camp. While once again fleeing from a hungry dinosaur, Nami is distracted by a life-sized facsimile of Luffy and captivated by Mr. 3’s wax creation powers. Zoro is captured in a similar way. Usopp arrives alone at Dorry’s camp, shortly followed by Mr. 5 and Miss Valentine. The giants’ manipulated duel ends in defeat for Dorry. Broggy, who stands in tears over the lifeless body of his friend, is addressed by Mr. 3, who already encased the giant’s feet in iron-hard wax. Mr. 5 captures Vivi, while his partner stomps Usopp chest-deep into the ground.